More than just a civil war, the Mexican Revolution in 1910 triggered hostilities along the border between Mexico and the United States. In particular, the decade following the revolution saw a dramatic rise in the lynching of ethnic Mexicans in Texas. This book argues that ethnic and racial tension brought on by the fighting in the borderland made Anglo-Texans feel justified in their violent actions against Mexicans. They were able to use the legal system to their advantage, and their actions often went unpunished. 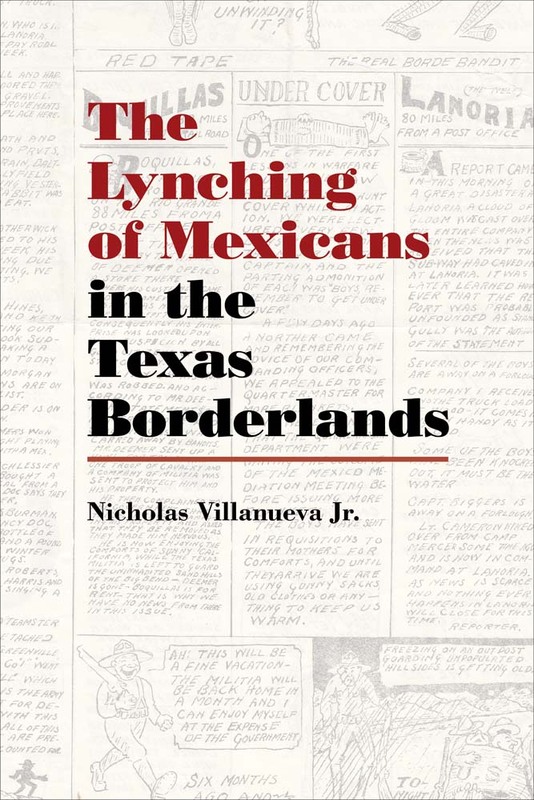 Villanueva’s work further differentiates the borderland lynching of ethnic Mexicans from the Southern lynching of African Americans by asserting that the former was about citizenship and sovereignty, as many victims’ families had resources to investigate the crimes and thereby place the incidents on an international stage. Nicholas Villanueva Jr. teaches in the Ethnic Studies Department at the University of Colorado. Chapter Three. The Legal Lynching of Leon Martínez Jr.